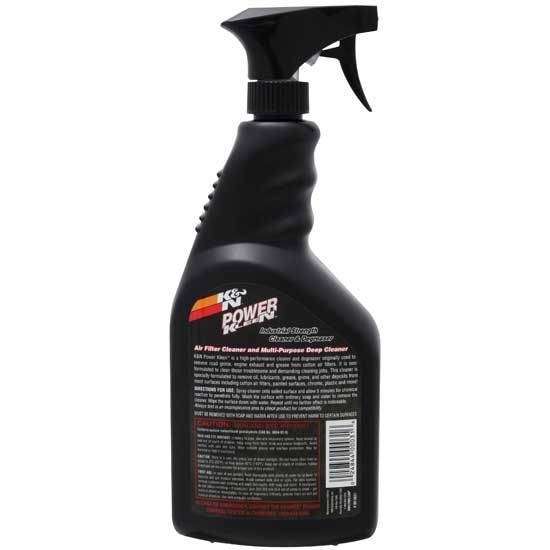 Also removes grease from painted surfaces, chrome, plastic and more K&N part 99-0621 is a 32 ounce pump spray bottle of Power Kleen Air Filter Cleaner. 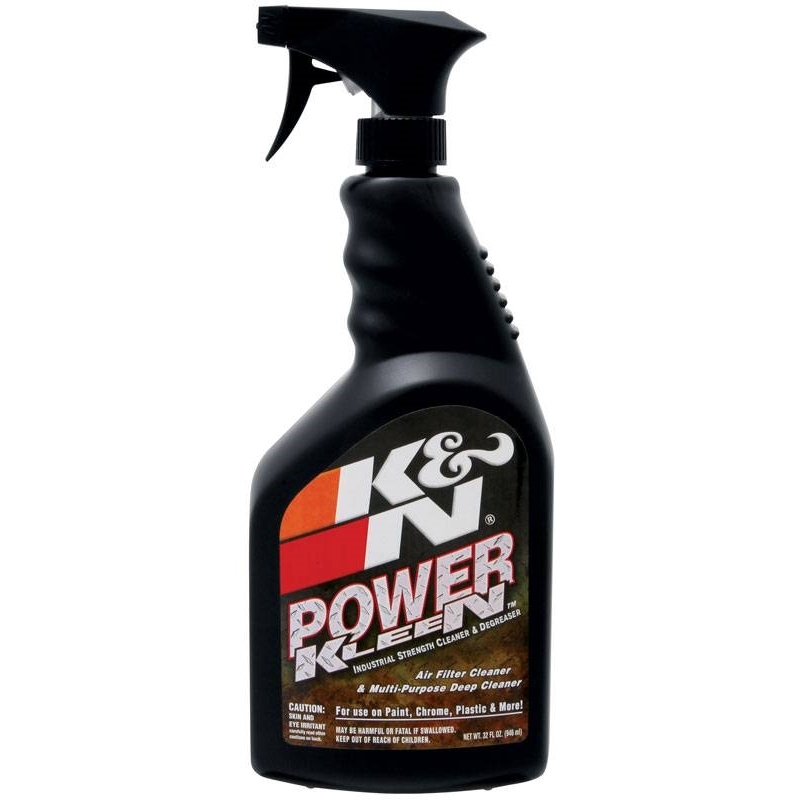 K&N Power Kleen is the only cleaner recommended to clean K&N cotton air filter elements. K&N 99-0621 Air Filter Cleaner will loosen and remove built up dirt and grime from your K&N oiled cotton air filter so it can be washed clean with water. It is so good at cleaning greasy dirt and grime that it is also used as an industrial strength degreaser.